Days of Our Lives (DOOL) spoilers for the next two weeks tease that some difficult moments are ahead in Salem. The week of December 11-15 will bring a tough blow for Sonny (Freddie Smith). He’ll be shocked by the news that Will (Chandler Massey) kissed Paul (Christopher Sean), but he won’t give up on his reunion goal. Sonny will lock lips with Will a little later, so he still has a chance. Elsewhere, Doug (Bill Hayes) will have a tense chat with Rafe (Galen Gering). It seems Doug heard about Rafe and Hope’s (Krisitan Alfonso) brief breakup. Days of Our Lives spoilers say Doug will try to prevent any more heartbreak for Hope. He’ll insist Rafe will pay the price if he dares to hurt Hope again. Rafe will start to sweat when he hears that. He’s still keeping a dangerous secret. DOOL fans know that Rafe hooked up with Sami (Alison Sweeney) that night. Someone in town will uncover the truth this week, so Rafe should be prepared for some backlash. Other Days of Our Lives spoilers say a specialist will arrive for Theo (Kyler Pettis). Chad (Billy Flynn) and Kate (Lauren Koslow) will bring this doctor in, so he or she will definitely be a good one. The DiMeras can afford the best and brightest. The week of December 18-22 will deliver a war between Kate (Lauren Koslow) and Eve (Kassie DePaiva). They’ll fight over Gabi’s (Camila Banus) company, which is apparently quite successful. Eve will be determined to lure Gabi over to Basic Black, but Kate will do whatever she can to prevent it. 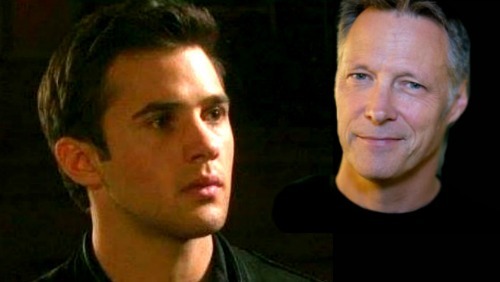 Days spoilers state that the show will take a dark turn thanks to JJ (Casey Moss). He’ll decide he just can’t handle the guilt anymore. After Abe (James Reynolds) get terrible updates on Theo’s condition, it’ll really put JJ over the edge. He’ll write letters to his friends and family members as he gets ready to commit suicide. Fortunately, JJ won’t go through with this drastic decision. Jack (Matthew Ashford) is set to visit the NBC soap, so he may appear to his son in his darkest hour. Gabi will help JJ see the light, too. At the annual Horton ornament hanging, Ciara (Victoria Konefal) and Claire (Olivia Rose Keegan) will have another heated confrontation. They can’t even give it a rest for Christmas Eve! Finally, an unexpected duo will make love. Days spoilers hint that Lani (Sal Stowers) may get pregnant soon, so perhaps it’s time for her to hop in bed with Eli (Lamon Archey). Will they be the couple who hits the sheets? We’ll keep you posted as other details emerge. Stick with DOOL and don’t forget to check CDL often for the latest Days of Our Lives spoilers, updates and news.